From a doodle spanning 43 million sq inches, to a jewel-toned Light Maze, Wembley Park sure knows how to do street art. Over the past couple of years, the northwest London neighbourhood has cemented its reputation as one of the capital's most vibrant creative districts — hosting workshops on arts as diverse as wood-carving and flag painting, as well as commissioning bold new works from some of today's most exciting artists and designers. 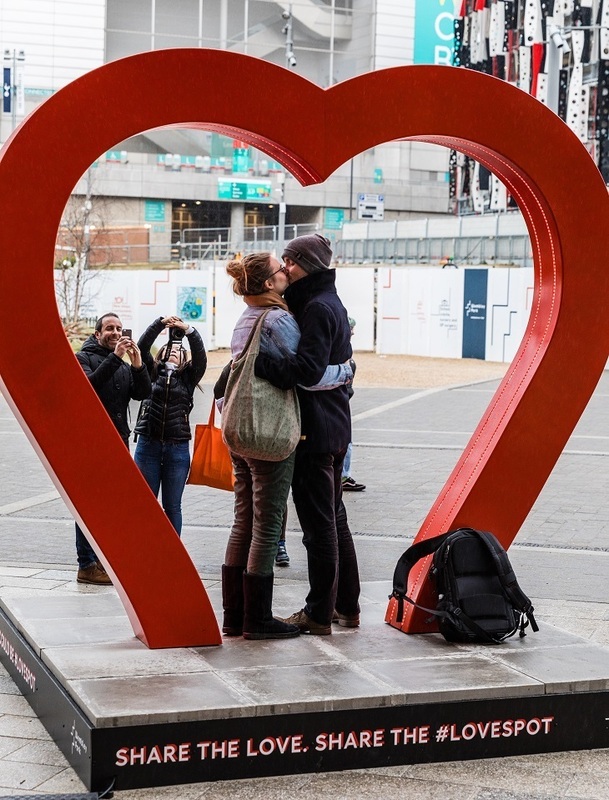 And, with the arrival of LoveSpot, Wembley Park isn't showing any signs of slowing down. 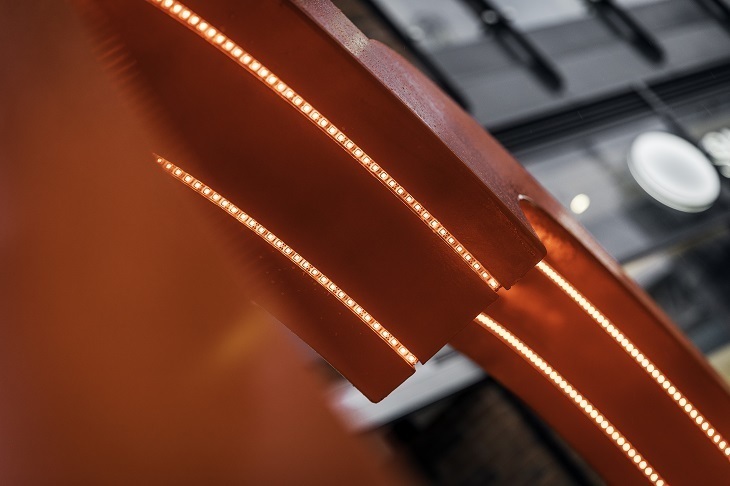 This bespoke installation was commissioned to spread the love, just in time for Valentine's Day. This giant, glowing heart is sure to get pulses racing, featuring a unique, throbbing heartbeat. You can find the amour-inducing installation on Wembley Park Boulevard, conveniently located outside the London Designer Outlet. So if you suspect that V Day has slipped your significant other's mind, it'll serve as a less-than-subtle reminder to start amping up the romance while you're both in a prime location for gift buying. Grab your beau (or your best mate) and and get ready to strike a pose under its warmth. Because if an outdoor art installation doesn't become your next selfie-backdrop, does it even exist? 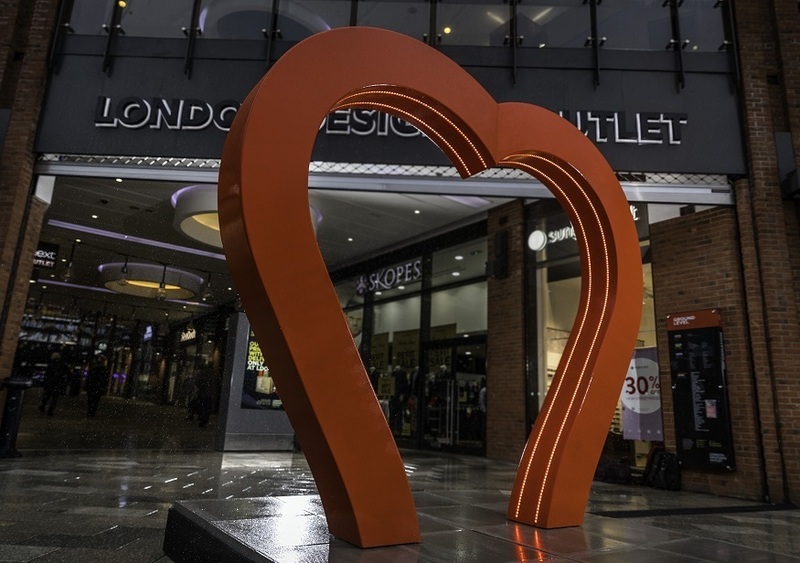 Find LoveSpot on Wembley Park Boulevard, outside London Designer Outlet in Wembley Park. The installation is expected to stay up until the end of February.